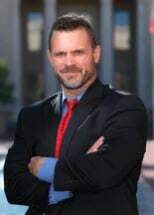 Matthew Branz obtained both his undergraduate and law degrees from Stetson University. After several years of practicing law, Mr. Branz obtained his LL.M. in the specialized area of Elder Law from Stetson’s College of Law. Since 2003, Mr. Branz has and continues to represent clients in a variety of civil matters. However, his education and experience has allowed Mr. Branz to focus a significant portion of his practice on elder law matters, which include estate planning and administration, guardianship and long term care/Medicaid planning. In addition, Mr. Branz routinely represents clients in family law matters, to include marriage dissolution and child related issues. Mr. Branz also serves as the City of DeLand’s attorney for code enforcement proceedings and as Hearing Officer for the City of Holly Hill’s red light camera proceedings. Mr. Branz is active in the community, currently serving on the Board of Directors for the House Next Door. As a former Stetson University baseball player, he remains active in the sport and in the community by coaching youth baseball.